Only mothers will understand how exciting it is to doll up their daughters in the best attire. When you are preparing a checklist for your young princess, then do not miss out on girls skirt, girls frocks and girls party wear collection by Acchajee. You need to grab these pretty dresses for your girls’ birthday party or any other special occasion so that she can stand out in the crowd. It would not be a surprise to claim that amidst all excitement that surrounds any special occasion, the focal point is the dress. Acchajee understands your needs and brings a wide range of girl’s skirts and frocks online. If frocks and skirts are not what you are looking for you, then check the complete range of girl’s clothing. Let your girl catch the joys of dressing up with designs that are pretty as they're fashionable. Acchajee enables a range of girls' dresses that she won't want to take off! Dresses with doll-like Peter Pan collars, layered numbers, and cute smocks are just a few of the selections waiting to be reviewed. Get her ripe for a party in a fashionable two-tone option with stunning lace detail. She'll be stealing the show as she wears it with elegant ballerinas and a crocheted shrug. We also have attire for casual wear that is just as lovable. Choose up a parrot green A-line dress with striking accents that go amazingly with sandals and a sun hat. It executes for the perfect daytime outfit and can also be layered with a cardigan for the evenings. Our drop waist girls' dresses are waiting to be examined out. Pick a peach number to pair with white shoes or a beautiful navy option that can be styled with boots. Accessories like jewelry and bags can lend a unique touch. CHARMING CREATIONS SHE'D LOVE TO OWN! 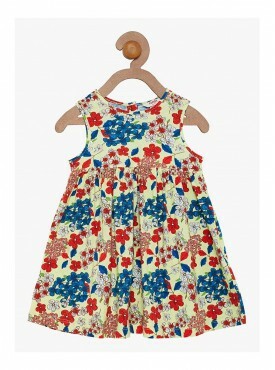 Acchajee collection of girls' dresses holds many more designs, all equally stylish and beloved. Pick a polka dot dress for her birthday and have her wear it with rivaling. Some of the dresses also come with cute accessories like wands that she can play with. Fit and flare girls' dresses are forever in style, and Acchajee line-up features winning numbers. Sample floral dresses in the colors of summer and peppy color-blocks that start matching so easy. 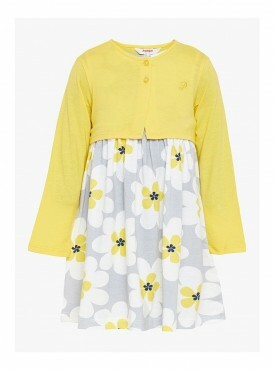 We also ought to shirt dresses for tweens that are perfect for casual wear. Let her wear them with ballerinas or let her radiate a sporty vibe with canvas shoes. Don't miss out on our array of shift dresses too that go well with coats and jackets. They execute for terrific school outfits so grab her favorites before classes start. Have her pair them with boots, sandals, and ballerinas for picture-perfect looks. Acchajee is your stop for incredible girls' dresses online. Our collection has something for all little girl. Dresses with rolling cuts, short casual numbers, smart A-lines, skater dresses; what does she like? Find designs that cater to her taste and yours. 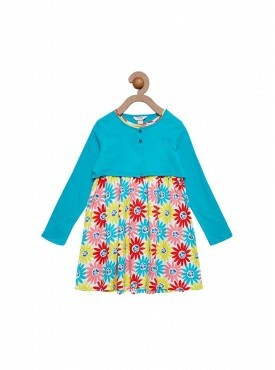 Buy girls' dresses from Acchajee and initiate dressing up a moment to cherish. Whatever you like, whatever you do, or whatever it is that you're looking for, make your life trouble-free with online shopping in India only on Acchajee! Acchajee is your stop for incredible girls' dresses online. Our collection has something for all little girl. Dresses with rolling cuts, short casual numbers, smart A-lines, skater dresses; what does she like? Find designs that cater to her taste and yours. 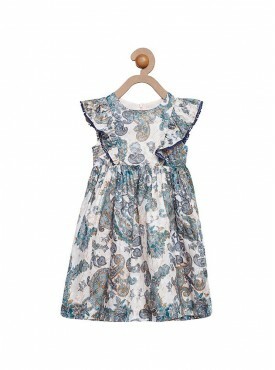 Buy girls' dresses from Acchajee and initiate dressing up a moment to cherish. Whatever you like, whatever you do, or whatever it is that you're looking for, make your life trouble-free with online shopping in India only on Acchajee!